The markets for TV and OTT services are evolving rapidly, with most industry participants anticipating a dramatically different U.S. media market in the next few years. As penetration of some services matures and new services gain traction, how will the U.S. market for OTT and TV services evolve? 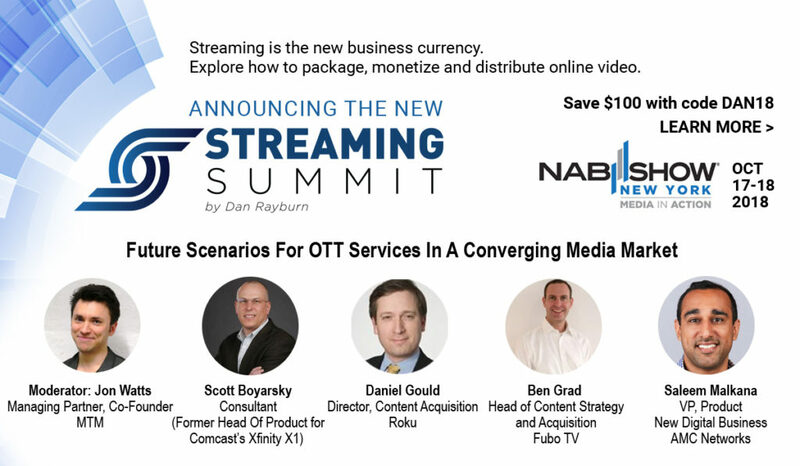 At the Streaming Summit, taking place as part of the NAB Show New York on Oct. 17-18th, hear how the TV landscape is being heavily disrupted, as cord-cutting and shaving become majority behaviors, and what it means for a more fragmented and competitive market.